In 2012 there were just over 1.2 million licensed motorcycles in Great Britain which represents a 70% increase since 1994. Despite the unavoidable impact of economic factors, sales of new and second hand indicate that interest has remained relatively consistent. As motorcycling continues to grow, demand for parking outstrips supply in many cases, especially during peak periods. A study of the London Congestion Charging area for Transport for London (TfL) found motorcycle on-street parking occupancy to be 33% over-capacity (Tilly 2004). Motorcycles are attractive to thieves because of their relative low weight and high value. Motorcycle theft is often opportunistic and takes place in public places. Theft rates are generally highest in urban areas; police forces covering large urban areas record around three times the rate of theft (per thousand motorcycles) than in more rural areas. The City of London and Metropolitan police force areas have the two highest rates of motorcycle theft in England and Wales (Braun 2003). 50% of all motorcycle thefts in 2010 were inside the M25 (Motorcycle Crime Reduction Group and Metropolitan Police Stolen Vehicle Unit, 2010). It is worth noting that just 7% of on-street parking in London were equipped with anchor points (Tilly 2004). Motorcycle theft is a continuing concern for riders, the police, parking providers and insurers. Constructive initiatives include “Lock It or Lose It” security awareness campaigning, “Sold Secure” and “Thatcham” product testing and rating standards and the “Park Mark: Safer Parking Award” for operators aiming to protect customers and vehicles. Safer parking status, Park Mark®, is awarded to parking facilities that have met the requirements of a risk assessment conducted by the police. Around 26,000 motorcycles are stolen per year, which represents 22% of all bikes sold (MCRG and MPSVU, 2010). The most ‘at risk’ motorcycles are 600cc and above as these represented 60% of those stolen in 2010. To combat the this problem, the MCI promote their MASTER Security Scheme (Motorcycle and Scooter Tagged Equipment Register). The scheme has been adopted by many leading manufacturers and is approved by police authorities. Prior to the development of Local Transport Plan (LTP) guidance, other than general statutory requirements to provide safe high networks, there was little national recognition of the need to provide for motorcycle users. 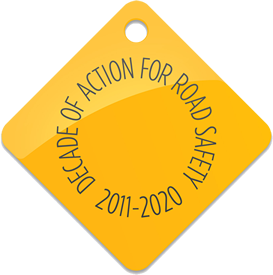 The Road Traffic Regulation Act 1984 was amended in 2000 to extend local authority powers to provide devices for securing motorcycles and the Traffic Signs Regulations and General Directions (TSRGD), revised in 2002, prescribes specific signs and markings for bays. Details are contained in the Traffic Advisory Leaflet TAL 2/02 Motorcycle Parking (DfT 2002). The policy impetus for motorcycle parking provision was documented in the DfT’s LTP guidance and, following the recommendations of the Government Advisory Group on Motorcycling, through the development of a National Motorcycle Strategy (AGoM 2004).